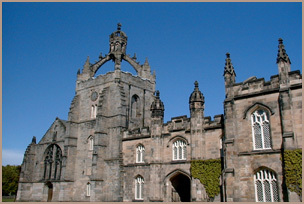 Coach Guide will take you on a walk through this historic, beautiful and interesting part of Aberdeen, visiting both King’s College Chapel* (said to be the best example of a medieval, aisleless chapel in the whole of Great Britain) and St Machar’s Cathedral, perhaps the oldest granite cathedral in the world. En route you will gain an insight into how life was in Old Aberdeen in times gone by, and also walk through award-winning Seaton Park to the Tipping Hatter, where tables can be reserved for dinner/supper. *Please note a church service is scheduled for this evening, and therefore access inside the chapel may not be possible.